We pride ourselves in our flexible, caring and co-operative approach to our work to ensure the individuals in our community receive a high quality service and level of care. Our primary rehabilitation and aftercare treatment programmes are designed and delivered by those with first-hand experience of addiction. Many of which have gone through recovery here at our West Midlands based centre. This is why when you are searching for alcohol & drug rehab near me, you should look no further than New Leaf Recovery. Why choose New Leaf Recovery? Our professional and caring team are able to fully understand what you are going through due to their own experience of addiction. Overcoming addiction goes much further than kicking a habit; attitude and behaviours need to be challenged in order to achieve a successful and lasting recovery. Residents are able to detox in a safe environment with support from staff and other residents. Our accommodation consists of a choice of single or twin rooms with en-suite facilities, as well as spacious communal areas and a garden. Residents are able to access recreational activities such as the gym, swimming, yoga and meditation, and are encouraged to engage in the local recovery community and mutual aid meetings. 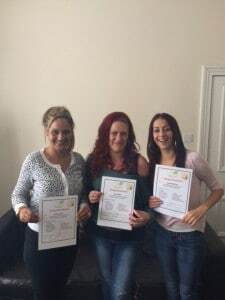 At New Leaf we strongly believe that everyone has the right to be given the opportunity to free themselves from the grip of addiction, and to be empowered through appropriate support to take control of their lives. "New Leaf have helped me to face my fears and address my past experiences in order to see them for what they are. I've been able to focus on my future and fulfil my potential"
"I've learned so much about my behaviours and attitude"
"Since being with New Leaf I feel comfortable being me"
"There is such a caring, family atmosphere at New Leaf"
"My journey has been enlightening - a real struggle some days but totally rewarding"
"I've been able to rebuild relationships with my children and family, as well as regain my confidence and self-worth". "I've managed to get clean and stay clean for longer than I ever have before - I feel like I've been given a chance to really start living"
"I'm looking to the future now - achieving things I never thought I would like college qualifications and voluntary work. Its completely changed my life and given me hope"